The 10 Best Buffets in Iowa! If you are a fan of all-you-can-eat buffets, the state of Iowa is a real treasure. Spread across the state, from prominent casinos to locally-owned restaurants and beyond, the variety of buffets in Iowa is only rivaled by the variety of culinary options found at their tables. Whether you are looking for a traditional American buffet, or something more internationally-inspired, you’ll find it at these 10 best buffets in the state. Serving as a Coralville establishment of great food and perfect charm, the Iowa River Power Restaurant also serves up one of the best buffets in the state. Only offered on Sundays and special occasions, the Iowa River Power Restaurant buffet is one of those food selections you talk about for years to come. Featuring fresh-cut prime rib, smoked salmon, and honey ham, there is a lot more to choose from at the Sunday Brunch from Iowa River Power, giving plenty of reasons to check out again and again. Featuring breakfast, lunch and dinner, there are multiple ways to enjoy the Triple Crown Buffet at Prairie Meadows Racetrack and Casino. Whether you consider yourself a recreational gambler or not, Triple Crown Buffet is worth the trip to Prairie Meadows, especially if you catch the buffet during a specialty entree option. Varying from day to day, some of the specialty buffets at Prairie Meadows include prime rib, Italian steak night, and holiday buffets. Breitbach’s is well known in Iowa as being one of the best family-style restaurants in the state, and this family-owned establishment also tops the charts when it comes to best buffets. That’s because this big restaurant in a small town serves up a variety of buffet options throughout Thursday and Sunday, with each dinner buffet menu showcasing something new. Comprised of locally-grown items and freshly-picked produce, the Farmer’s Pick Buffet from Isle Royale Casino in Waterloo reigns supreme of all casino buffets for being the healthiest for you. Not only is the Farmer’s Pick Buffet a healthier option, it also shows you just how delicious farm-to-table ingredients are. Featuring high-quality ingredients and friendly staff, Hong Kong Buffet of Muscatine provides one of the best selections of Chinese food in the state. Featuring a long list of appetizers, entree items, and sweet desserts, there is no limit to how many times you can visit the buffet line at Hong Kong Buffet, ensuring your appetite is easily conquered with each visit. For yet another casino inspired buffet that packs a lot of flavor, Robert’s Buffet at Riverside Casino and Golf Resort brings out the selection and fine ingredients. Featuring special entrees every night and seasonal courses throughout the year, on any day of the week you can get set up with breakfast, lunch or dinner at Robert’s Buffet. After you are done eating, the gaming floor and many other attractions of Riverside Casino and Golf Resort wait to be explored. With over 250 items lining the buffet table, Hibachi Supreme of West Des Moines won’t constrain you from trying something new with each visit. Featuring steak, seafood, chicken, sushi and much, much more, what’s unique to Hibachi Supreme Buffet is there hot Hibachi items you can throw onto the plate. Check out this supreme buffet yourself to see why people drive all over the state to visit and eat at Hibachi Supreme of West Des Moines. Take a culinary trip across the globe with the World Tour Buffet from the Hard Rock Casino and Resort of Sioux City. 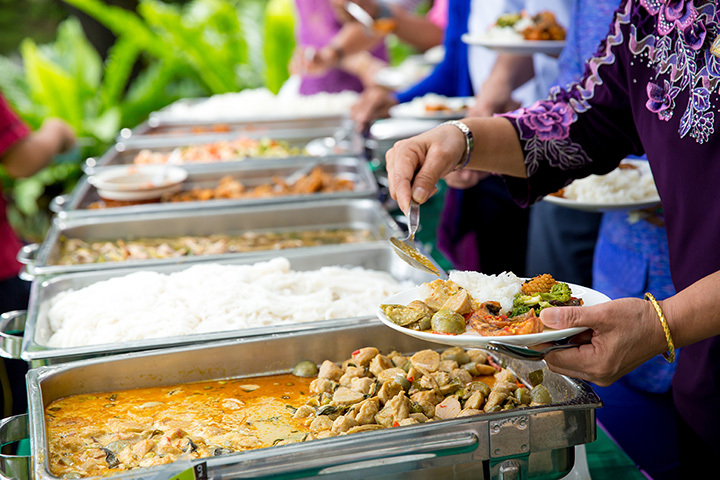 Featuring tastes that defy global borders, including Asia to the American South, there is plenty to choose from for breakfast, lunch and dinner at the World Tour Buffet. While you are there, the impressive Hard Rock Casino and Resort offers plenty of other fun activities to really build up our appetite. Featuring old favorites, new tastes and plenty of reasons to revisit the buffet table, Mr. Stirfry of Sioux City delivers when it comes to a fresh selection. Featuring 12 different buffet tables stacked with a variety of traditional and inspired cuisine, plus a hibachi grill for hot food, as well as an enormous sushi selection, Mr. Stirfry easily hits their goal of not letting anyone who walks into the door stay hungry for long. While many visit the Kathmandu Restaurant of Des Moines to order straight off the menu, the Friday, Saturday and Sunday lunch buffet is also a great way to try the variety of tastes offered by this authentic Indo-Nepali restaurant. Whether you are looking for something new to try with cuisine from India or Nepal, or you are looking for an old favorite otherwise hard to find in Des Moines, Kathmandu Restaurant has a wide selection to choose from, with a majority of it all on display during the weekend lunch buffet.